I’ve been sitting at my desk here in sunny Carlsbad this morning, browsing over what the card collecting community has to say about today’s developments. That’s one of the many positives of modern media and a strong community of passionate people: you can gauge reactions to developments, and see how people respond. Overwhelmingly, the response has been concern for the future of the hobby. Honestly, I’m just “the blog guy” here. And to that end, I figured the rest of you passionate bloggers out there are wondering what’s up, how we’re doing, and what we’re feeling. Since day one here I’ve wanted to bring you guys closer to us, and this is a good opportunity to do so. So here’s what’s up. We sympathize with your concerns, but everything is going to be fine. Upper Deck still means the highest quality cards on the market, and Upper Deck is going to produce baseball cards in 2010. That is a stone cold fact. 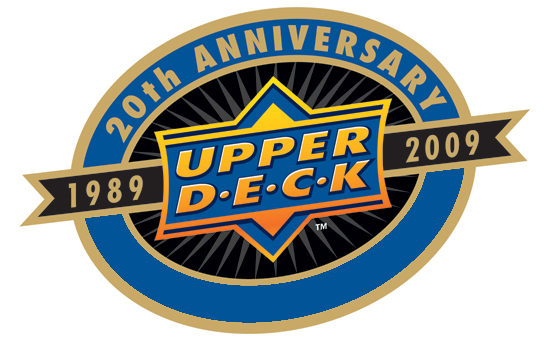 I look forward to hearing about what is next for Upper Deck in 2010! Makes ya kind of wish this exclusive bs never happened doesnt it!My first thought this morning when i read it was Karma’s a b scratch! Then reality crept in! Topps has a lot to learn from the empire out west that has thrilled us for the last 20 years. Lets hope Eisner’s money isnt just being wasted on the same old same old! Baseball’s fandom has taken huge hits with steroid schtuff and the economy. I could see where it became the 2nd least important sport to let go by the boards. Football rules and as long as it remains an “open market” I can see where a niche could be carved out and maintained. But what about Golf which continues to be without a product and a negotiation with the PGA or world golf HOF would assist in contract problems with 200+ individual players. The entertainment market and world history market are both open to a ton of exploitation! I mean Donruss Americana sold well even with a watered down auto lineup! In fact why not go grab an exclusive on the rock n roll hall of fame right now and issue sets for years to come! Im sure there would be a ton of buyers for a McCartney shirt relic or a Mick Jagger officially draped Union Jack and such!Imagine an auto card of the survivors of Pink Floyd or Led Zeppelin, I mean these boys arent getting any younger! So chin up boys and girls out west. Your loyal buyers will still be behind you, keep making a superior product and the consumer will choose not based on logos and such but what they like! Just look at ITG for a positive example of what Im saying! An absolute outrage. The hobby would be no where near where it is today without Upper Deck and its innovations. 1989 signaled a maturation of the hobby, 2009 signals a dark age for sports collectors. Exclusive agreements are undemocratic. Monopolies are wrong, bottom line. Keep that MLBPA relationship up, the collectors will bring the heat on MLB for this heavy handed and wrong wrong wrong dictatorial move. —-also posted on MLB’s site. Anyone wishing to copy the top and post or email wherever are free to do so. I wish UD would include some Muhammad Ali auto’d cards in their products. Is that possible?